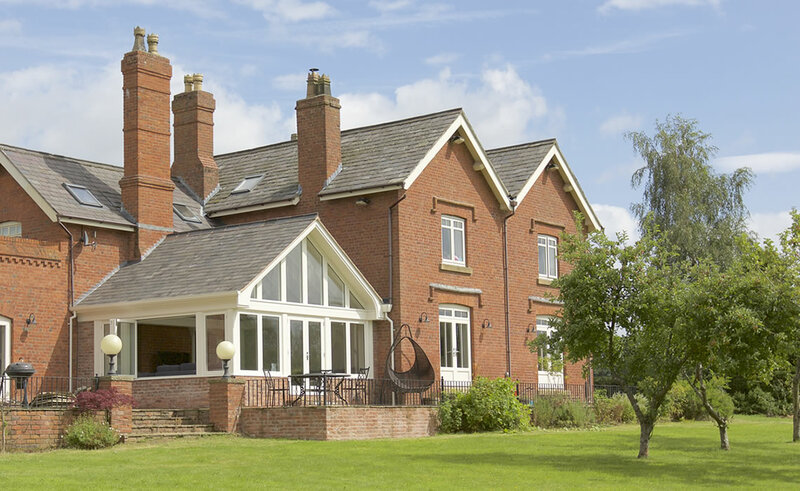 Our clients in Cheshire wanted to create a large, open-plan family living space that blended harmoniously with their existing property, whilst maximising light and ensuring that their wonderful gardens outside could be both easily accessed and enjoyed all year-round. 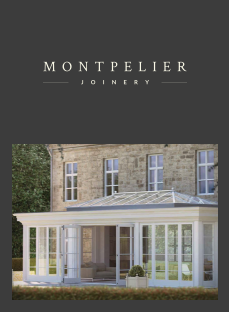 As the gardens were a clear focal point, a large glazed gable was proposed along with a set of French doors and bi-folding windows on the side elevation. 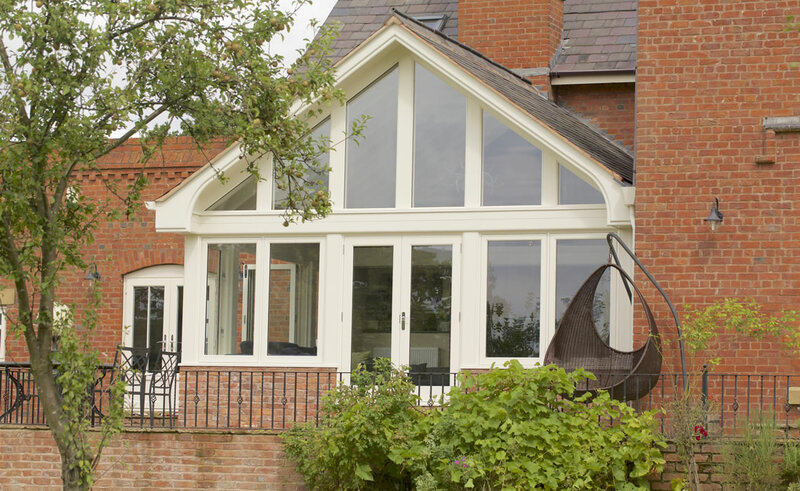 Our signature bi-folding windows helped to bring in extra light and warmth that was greatly desired, whilst offering panoramic views of their much-loved garden. 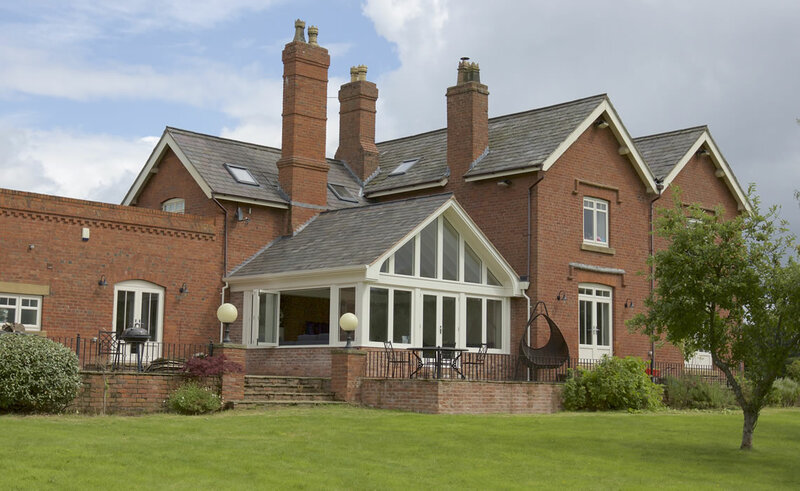 The glazed gable created a beautifully detailed vaulted ceiling and mimicked the roof angle of the existing property to continue the flow seamlessly from the main house to the new extension. The roof tiles were also closely matched to the existing roof, so that aesthetically, it appeared to be part of the original structure, this also played a huge part in gaining planning approval with the local authority. 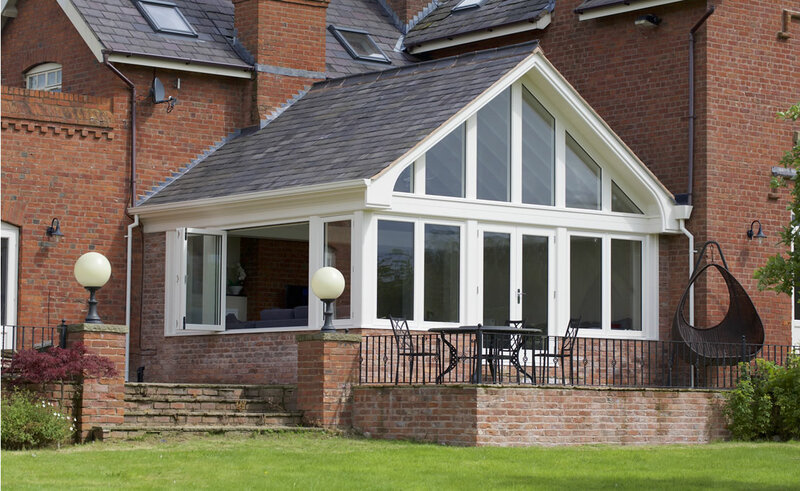 Our clients were overjoyed with the transformation and now have a beautiful Garden Room that can be used year-round. The result is both timeless and beautiful, and a project that we are very proud of.